Comments: The growth form is somewhat rounded. It produces large flat-topped clusters of flowers and striking orange-red berries in the fall. Autumn foliage color can also be a special feature. 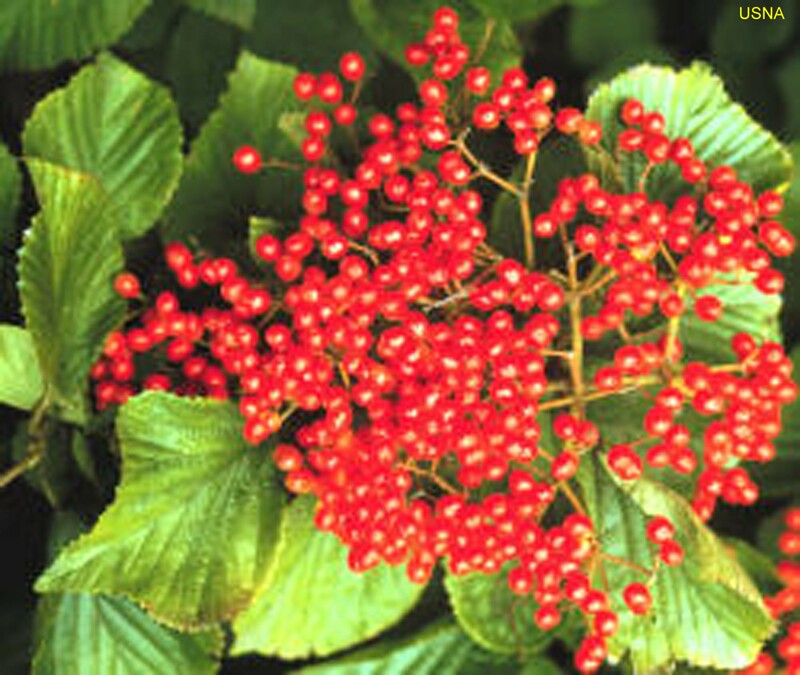 This viburnum receives very high ratings among people who know and grow many viburnums. Provide a fertile, well drained soil and sunlight to encourage good flowering and fruiting.